Gates of Stone: three months to go . . .
As many of you know, I have written an Asian-flavoured epic fantasy novel under the pseudonym Angus Macallan. 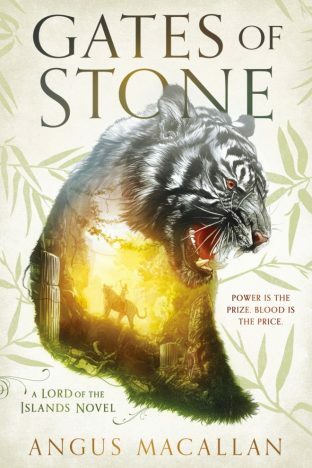 It’s called Gates of Stone and it will be published in the US (and available in the UK on Amazon) on February 19, 2019. I think it’s the best thing I’ve ever written and hope fans of my books will agree. Here is a short extract and a bit of background info about the book. Check it out, pre-order it if it sounds like your cup of tea and, if you would be so kind, spread the word using the Twitter and FaceBook buttons below. Thanks! “Your flag, sire,” said Farhan. The Laut Besar: tropical paradise or hell on earth? 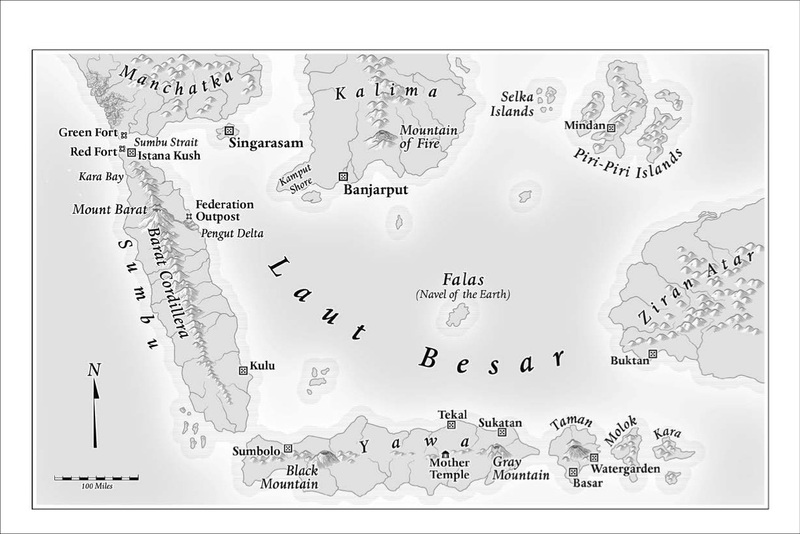 Much of the action in Gates of Stone, first book in the Lord of the Islands series, takes place in the Laut Besar, a vast lawless body of salt water dotted with tropical islands and somewhat resembling a fantasy version of Indonesia. The Laut Besar is infested by swarms of Malay pirates, magic-wielding evil priests, head-hunters, slave traders, drug-addicts, mercenaries, missionaries, merchants, whores, secret agents and other assorted varieties of human scum. It is a place of great danger – and great riches. For only on the islands of the Laut Besar can the powerfully addictive drug called obat be grown and harvested. The drug soothes and enslaves, uplifts and ultimately destroys those who smoke it, prince or pauper, gold-master or mine-slave. Yet the vast wealth that obat generates is eagerly sought by the two greatest powers of that world: the Indujah Federation, a huge, somewhat Indian trading empire to the west of the Laut Besar, and the Celestial Republic, a China-like powerhouse to the north. Into this watery arena, where two great nations are slugging it out for mastery of the obat trade, sails Princess Katerina, the sixteen-year-old scion of the northern snowy wastes of Khev. She has been denied her royal birthright solely because of her gender and is determined to find sufficient money and men in the Laut Besar to take back the Ice-Bear Throne from her usurping cousin. Katerina will murder or manipulate, torture or terrorise anyone who stands in the way of her grand ambitions. She’ll even marry them, if it suits her plans. Farham Madani, a merchant and spy for the Indujah Federation, only seeks enough money so that he can retire in peace to some remote island with the woman he loves. But he’s quite prepared to plunge the whole of the Laut Besar into a welter of bloody slaughter to achieve his ends. Prince Jun of the tiny island of Taman is a much gentler soul. He is thrown into the vicious turmoil of the Laut Besar power-struggle when an evil sorcerer steals the ancestral magical sword of his noble family and he is forced to travel far across the dangerous seas in an attempt to retrieve his heirloom. In the north-west corner of the Laut Besar is the great island city of Singarasam. This is a bubbling stew of iniquity where peoples of all colours and creeds come together to trade obat. The rambunctious denizens of Singarasem enjoy scheming, stealing and back-stabbing – but are less enthusiastic about paying tribute to the fearsome Lord of the Islands and King of Singarasam: Ongkara the Fearless. The climax of the first novel sees Jun and Ongkara, who is aided by the sword-stealing sorcerer Mangku, struggle in the palace of Singarasam for the fate of the Laut Besar itself – and all its peoples. For the sorcerer is planning to unleash a deadly plague that could destroy the entire population of the world. And only Jun can stop him.